Halloween Recipes : Sumptuously Spooky Food for Halloween Party! Halloween Recipes : Sumptuously Spooky Food for A Hassle-Free Halloween! Scary ghosts, little pastry pumpkins, crispy crusted Pumpkin pies, scary cookies! Scary food is one of the best ideas this holiday season and what better way to represent the mood of the occasion than portray it through food. Spooky food creates just the right ambience of dread and death laid right on your dinner plate. Spooky and frightening appetizers, red jelly for blood spiders crawling on your cupcakes, blood red cocktails! What a pleasant sight to welcome Fall! And bonus points for making the vampires, ghosts and spirits jealous of the yummy things you eat. We bring for you some incredibly horrifying to the sight but absolutely sumptuous party and dinner items that you can serve to your guests and freak their taste buds out! Have a look at our Halloween Recipes. 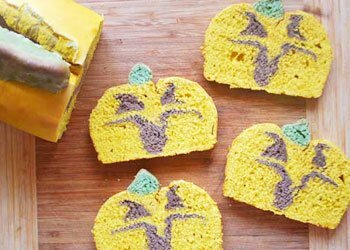 How to Make Sumptuously Spooky Food for A Hassle-Free Halloween! 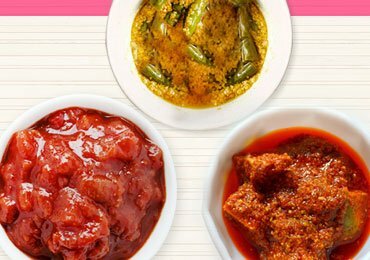 These are just the perfect appetizers to tingle the taste buds of your guests! Thin slices of white bread, crust removed. Gently flatten the bread to help it soften it. This will help in moulding the bread in the desired shape. Shape the bread and roll it to give it the shape of a finger and make three indentation marks to show finger joints. This will add to the realistic feel of the sandwich. Trim the ends of the fingers and with the help of cream cheese stick an almond on the edge to show long lady-like nails! Now for the spooky effect- put some strawberry Jam on the edges of the finger to give the look of Blood! 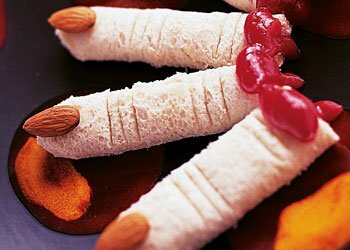 Your Horror provoking fingers are ready to be munched on! 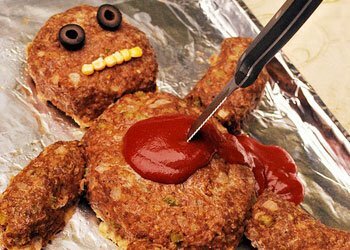 Traditional meatloaf takes a Halloween twist! Add melted butter in a skillet and toss in the onion, garlic and celery. Sauté until transparent. 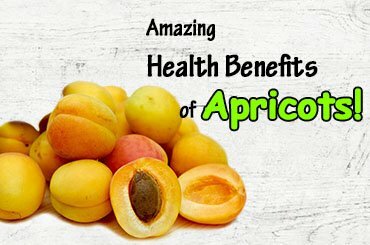 Transfer this mix in a bowl to cool. Preheat an oven at 350 degrees and line a baking tray with aluminium foil and spray cooking oil on it. The crack opens the eggs and beat until they blend in well with the vegetables. Add Cajun Seasoning and bread crumbs to the egg and vegetable mix. Mix well with your hands. Transfer the mix onto the foil lined tray and give it the shape of a dead man. Put the tray into the oven and keep an eye on the beef, until the beef in the centre is no longer pink. Insert a food thermometer and it should instantly read a good 160 degrees right in the centre of the man. Place the olives as the eyes of the dead man and pour ketchup on the dead man’s abdomen. Serve with a plastic knife impaled in the Dead man’s stomach for a scary and deadly effect. Your Deadman right out of the oven! Freshly baked for Halloween is ready! This bread captures the true spirit of the Halloween season! And it looks “Fantastic”! try an orange colored bread with black eyes instead of the usual orange or yellow one. When the dough is ready to color and shape your bread. Preheat your oven to 350 Fahrenheit. Place into a well-greased bread loaf tin and bake until the crust is brown and it sounds hollow to tap. Read Continue for More Sumptuously Spooky Food for A Hassle-Free Halloween! This is one dish that you can help yourself with hearty servings. Dig a rich serving and eat to your heart’s content plus the child-like the fantasy of serving right out of a pumpkin. 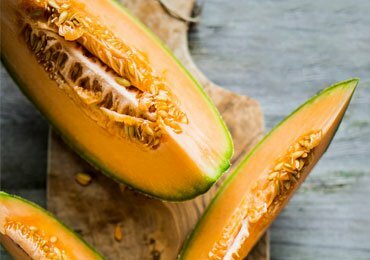 Cooked and served in the pumpkin itself it is a flavourful delight! 3 large potatoes peeled and cubed. In an oven, brown meat in 2 tablespoons of oil. Add water, potatoes, carrot, green pepper, garlic, onion, salt and pepper. Cover and cook for 2 hours. Stir in tomatoes. Wash pumpkin and cut the upper circle around the stem in a lid like a manner. Remove top and set aside. 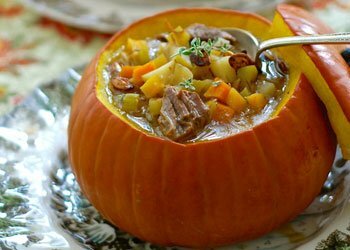 Place pumpkin in a sturdy shallow baking pan and spoon the stew into the pumpkin and replace the top. Brush the exterior of the pumpkin with the remaining oil. Serve stew from the pumpkin scraping a little bit of pumpkin with each serving. A true taste of Autumn and a sight for sore eyes at your potluck too! A cheesy and eerily easy trick with the help of some frozen puff pastry. Get the puff pastry out of the refrigerator and dust off the excess flour. Spread a rectangle of pastry with both kinds of cheese and mustard. Spread well. Cover this rectangle with another rectangle of Puff pastry. Place a sheet of parchment on these layers of puff pastry until smooth and combined and sealed with each other. Remove parchment, and brush the puff pastry with the paprika butter mix. 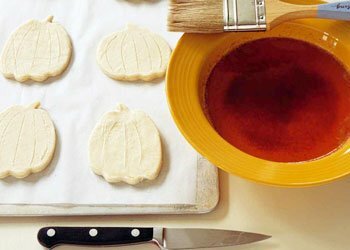 Now take a pumpkin shaped cookie cutter and with the help of it take out a good 18-20 pumpkin shaped cookies and place them on a parchment-lined baking tray. Score each pumpkin with the tip of the knife to make ridges. Bake for 15-20 minutes on a preheated oven at 375 degrees until golden brown. Place on a wire rack till they reach room temperature. Time to gobble up the edible Jack o Lanterns! Give your Halloween party a spooky touch with the help of these black and scary Bat Wings! In a medium sized bowl mix in soya sauce, Oyster sauce, black bean sauce, black food color paste. Keep 1/3 rd cup of soya sauce aside. Put large chicken wings in a zip lock bag and pour the remaining soya sauce over them. Seal the bag and shake until well coated. Marinate overnight or if not possible at least 3-4 hours. Keep shaking the bag every half and hour. Preheat oven to 375 degrees. Remove wings from the marinade bag and shake off the excess. Place them on a baking tray and arrange the wings so that they are well spread out. 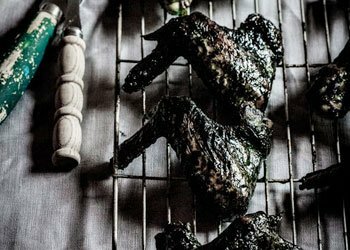 Bake until the wings leave their juices and form a crunchy exterior, and brush them every 10 minutes with the remaining soya sauce. Let them cool for 10 minutes and then serve. So folks! Call in your neighbours, friends and family and follow these recipes. All your guests will be in surely for a treat. Halloween would be yummy and scary at the same time! Have fun. 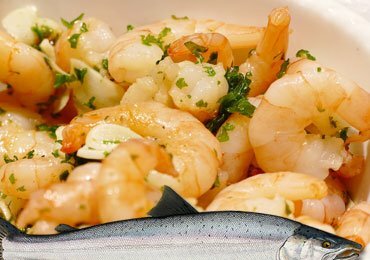 Sea Food – Explore The High Benefits Of Eating Sea Food! 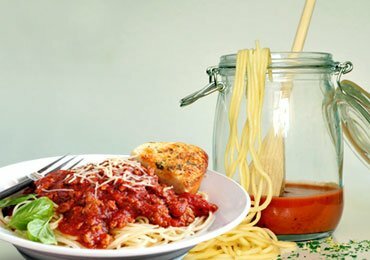 Homemade Spaghetti Sauce Recipe That You Will Love to Learn! 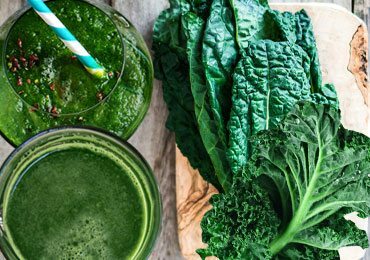 Kale Juice Recipe for Weight Loss and Other Numerous Health Benefits! 5 Easy Pickle Recipe You Would Love To Try This Summer! 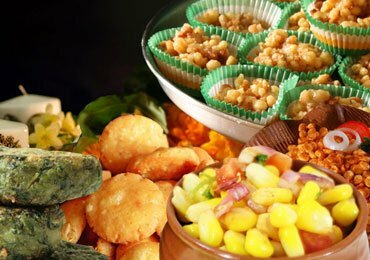 Top 10 Tasty Snacks Recipes That Can be Made During Diwali! 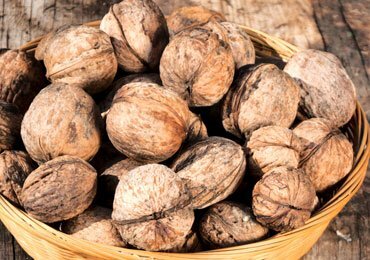 Lead a Healthy and Fruitful Life with Walnuts! 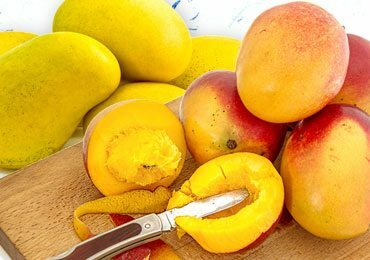 Magical Fruit Mangoes Benefits Your Skin, Hair and Health! 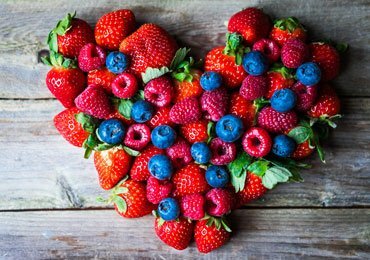 13 Healthy Foods Those Are Good For The Heart!